When you are looking to start your first website, it’s important to put monetisation at the front and centre of your thoughts. If you focus on how you’ll use that website to generate revenue right from the outset, every decision you make regarding design and content can be designed specifically to convert – which greatly increases your chances of success. There are dozens of different ways you can generate income with a site, but one of the most promising is to set yourself up as an affiliate site. These sites do not promote their own products or services; instead, they serve as a hub, gaining commission from existing brands and merchants in exchange for referring customers to their site. Affiliate sites can be hugely lucrative, and there are many different types of affiliate sites you could choose to create. Below we list 6 examples of the best affiliate websites to give you some inspiration in where to start in affiliate marketing. You partner with an established brand. The brand provides your website with, hopefully exclusive, voucher codes. Customers visit your site to obtain the voucher code, and click through to the merchant to make their purchase. You will then receive commission from the merchant in exchange for referring traffic to them. This relationship is mutually beneficial. You provide a steady flow of traffic; the merchant provides the sale. 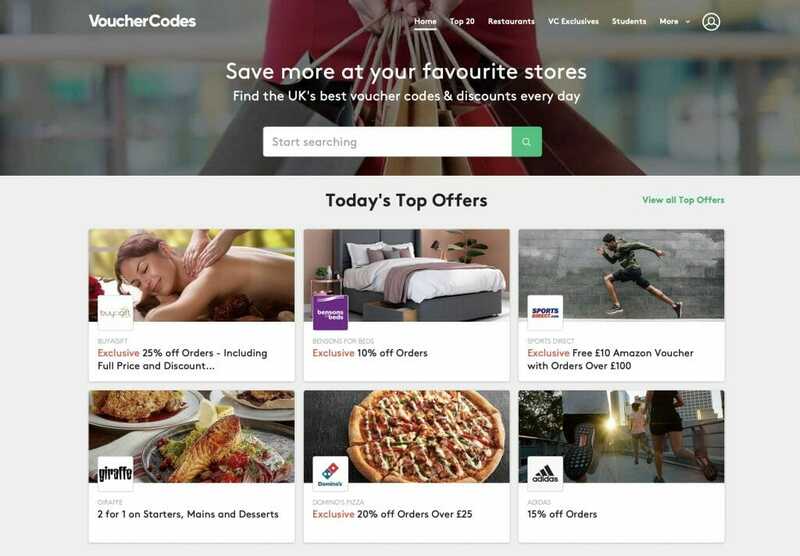 Voucher code sites have proven to be incredibly popular over the years, with sites such as VoucherCodes.co.uk dominating the niche – but there is always room for more, as customers’ desire to save money on their purchases is eternal. 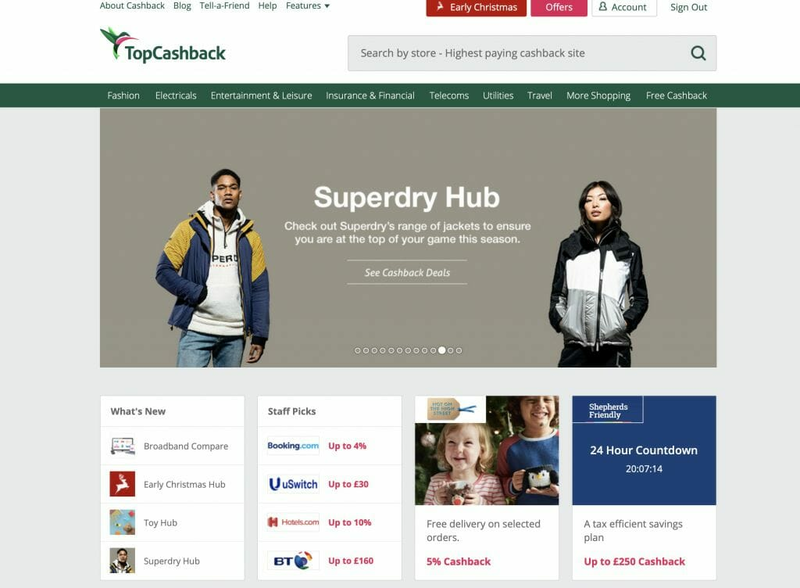 Cashback sites – such as TopCashback.co.uk and Quidco.com – work in much the same way as voucher code sites. Customers visit your cashback site and click through to a merchant to make a purchase. The customer benefits by receiving cashback on their purchase; usually between 2-5%. You receive commission for referring the customer to the merchant via your cashback site. Again, the benefits for all parties are clear, which is why cashback sites have flourished in popularity over recent years. Price comparison sites are a great way of collecting commission from merchants. 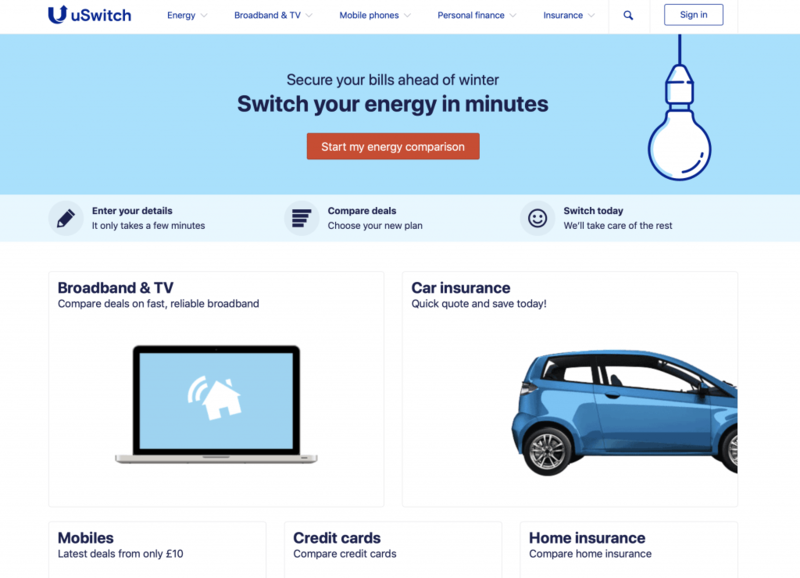 Customers visit your site to compare prices on a range of products or services; for example, Uswitch.com provide price comparisons for utility bills and energy, while Idealo.co.uk provide product comparisons. When the customer finds a price they like, they click through to the merchant and make a purchase. You receive commission on that purchase. Price comparison sites can be complicated to set up, but they are well worth your time – customers will always want a good deal, and merchants will always want to make sales. If you run a price comparison site, you can meet both of these requirements, and generate revenue for yourself in the process. 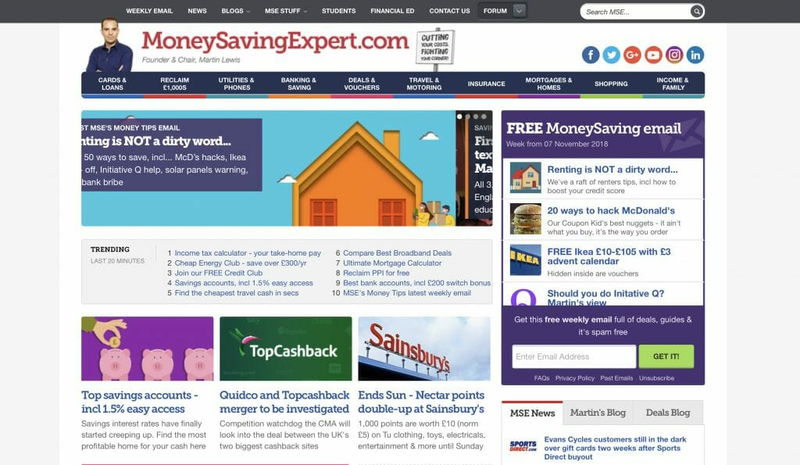 The biggest name in the “deals” business in the UK is probably MoneySavingExpert.com, but the principle is the same across all sites of this type. You negotiate reductions with merchants. For example an exclusive discount on broadband or a mobile phone contract. You then advertise these deals on your site. Customers visit your site and make a purchase. You collect commission on their purchase; the merchant gains a sale; and customers enjoy a reduced-price deal. Deals sites rely heavily on your ability to negotiate worthwhile deals with merchants, but if you can get this right, then your site should go from strength-to-strength. Another type of deal site is a “freebie site” these type of websites tend to list free samples provided by companies looking to distribute their new product to consumers. These type of sites might also list deals along with free competitions. An example of a freebie site is WOWFreebies.co.uk (which is owned by WOW Media, the company that owns WOW TRK). Review sites such as TripAdvisor.co.uk and Yelp.co.uk provide a multitude of services. They are, first and foremost, a useful resource in and of themselves – customers like to be able to read reviews before making a purchase, and your site will facilitate this preference. A customer visits your site to read reviews of a product they are considering purchasing. The customer is pleased by what they read and decides to click on your affiliate link to buy the product as soon as possible. The customer then makes their purchase, which you collect commission on. The one downside of review sites is that negative reviews can hamper your ability to generate conversions; after all, no customer is going to buy a product after they have just read reviews that detail the many ways in which the product in question is poor. To counter this issue, it’s usually best to create a review site where you choose the products or services that are reviewed, and compile the reviews yourself. 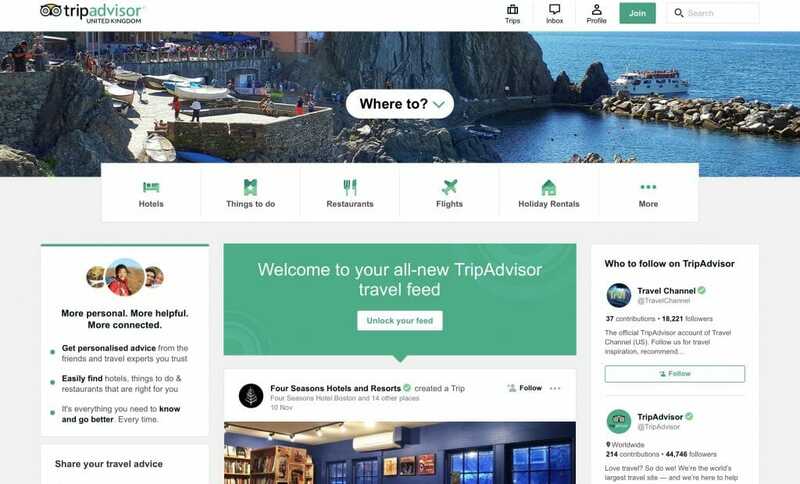 TripAdvisor.co.uk, for example, use customer-generated reviews, but this can be unreliable; by writing your own reviews, you can focus on products and services that are worth buying, which should lead to beneficial conversions. Much of the process of running an affiliate site requires an understanding of customers want. With the types of affiliate sites mentioned thus far, customer understanding is presented in rather broad strokes: knowing that customers want to find a good deal, collect cashback, or buy products and services that are considered to be beneficial. You create a blog specifically aimed at people in a certain niche, for example the website UK Air Dates above focuses on people who watch TV in the UK. You write a post about that niche, the website above writes articles about TV news and upcoming TV premiere dates. You partner with a merchant or affiliate network that provides TV related affiliate programs. These might be to buy TV box sets, subscribe to TV streaming services or even to buy broadband and TV packages. 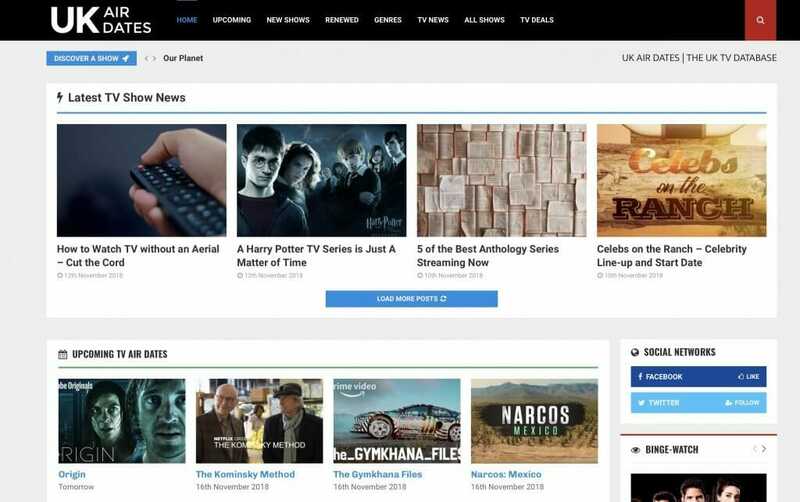 You add affiliate links to your content, for example on the above website on TV listings they provide links to where the TV series can be watched online. Some of these being affiliate links. You earn commission if someone clicks on one of these links in your content and makes a purchase or conversion depending on the type of affiliate campaign you are running. This affiliate website example is undoubtedly harder in some ways than the others on this list. You will need to immerse yourself in the subject, researching what customers who are interested in the area want and need, and then create content that suits them. However, niche blogs and relevant affiliate links can produce results, so they are an option well worth considering. This type of affiliate can often generate the highest quality of traffic as well, where as a cashback or voucher site might simply be a potential customer checking out if there are any discounts just before making a purchase. By setting up an affiliate site, you generate revenue from existing companies and brands in the form of commission. This is arguably far simpler than trying to create your own customer base to and have to make your own product to sell to the customer base. Your main focus will instead be on driving traffic to your site, which is then referred on to the merchant site. This means that you can focus on traffic generation and conversions, and let the merchant deal with the customers directly. Your life is far simpler as a result, but still generates the profits that you need to succeed.